When you need care for a heart or vascular health condition, you want an experienced team. At University of Maryland Capital Region Health, our doctors are experts in diagnosing and treating heart disease and vascular problems using diagnostic testing. We use advanced technology to find disease at the earliest stages, when it’s most treatable. Our doctors use a variety of noninvasive (nonsurgical) tests to determine the health of your heart and blood vessels. Diagnostic testing helps your doctor develop a personalized treatment plan, as well as determine how you’re responding to treatment. In addition to noninvasive testing, we use a variety of minimally invasive techniques in our Cardiac Catheterization Lab to diagnose and treat heart and vascular diseases. Your doctor may order one or more of these painless, noninvasive exams to evaluate your health and determine the best course of treatment. An abdominal aortic aneurysm occurs when the lining of the aorta (the main artery in your heart) weakens and expands, causing the vessel to bulge out like a balloon. Your doctor may use an ultrasound exam or CT (computed tomography) scan to look for an aneurysm. This test can help find peripheral artery disease (PAD), caused by a buildup of plaque (a fatty substance) in the arteries that carry blood to your head, organs, and arms and legs. Your doctor does this test by measuring your blood pressure at your ankle and your wrist while you’re at rest. You may also walk on a treadmill (exercise test) for a few minutes before the test so your doctor can compare your blood pressure before and after exercise. CT angiograms create a detailed, 3-D view of blood flow to help your doctor find blocked or narrowed arteries. In some instances, your doctor may use a special dye (contrast solution) to make your vessels and tissues easier to see. The contrast solution is either swallowed or injected into your bloodstream. Also called a heart scan, coronary calcium scoring uses a CT scan to measure the plaque (which contains calcium) buildup in your arteries, which causes coronary artery disease (CAD). 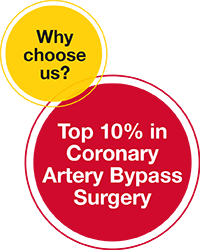 This measurement helps your doctor determine your risk of developing CAD. An echocardiogram is a type of ultrasound exam that creates still and moving pictures of your heart and blood vessels. This test lets your doctor assess the structure and function of your heart. It’s performed by sliding a probe on your skin over the area that’s being examined. In some cases, your doctor may use a transesophageal echocardiogram (TEE) to get a clearer view. In this procedure, an imaging technologist guides a special probe down your throat to capture images of your heart. An electrocardiogram examines your heartbeat (how fast or how slow) and heart rhythm (steady or irregular), and the strength and timing of the electrical impulses that pass through your heart. EKGs are used to screen for various types of heart disease, such as heart attacks, arrhythmias (irregular heartbeats) and heart failure. To perform an EKG, your doctor places small adhesive electrodes on the skin of your chest and other areas to record your heart’s electrical activity. The test can also be done during exercise on a treadmill or exercise bike (exercise stress electrocardiogram). A Holter monitor measures your heart activity for a day or two. An event monitor can be used for three or four weeks. Also called myocardial perfusion imaging, this test lets your doctor assess how well your heart pumps blood at rest and while you exercise (on a treadmill or exercise bike) — if you can’t exercise, you’ll take medicine that increases your heartbeat (pharmacologic exercise stress test). Nuclear stress tests are often used to diagnose chest pain. To perform the test, you’ll receive an IV (a thin tube inserted into your wrist) with a tiny amount of radioactive material, called a tracer, that circulates through your blood. A special camera takes pictures of your heart to find areas of your heart that aren’t getting enough blood or where the muscle isn’t functioning properly. Nuclear cardiac viability scan, which evaluates blood flow to the heart — particularly after you’ve had a heart attack. This can help your doctor identify heart muscle that’s injured, but not permanently damaged. Nuclear multiple gated acquisition scan (MUGA), which measures the amount of blood that’s pumped out during each heartbeat. Some heart problems are easier to detect when your heart is working hard. A stress test allows your doctor to monitor your heart during exercise (either an exercise stress test or a stress test that uses a heart-stimulating medication). Stress tests can be combined with other exams, such as a stress electrocardiogram or nuclear stress testing. A tilt table test helps your doctor find the cause of unexplained dizziness and fainting. As you lie on a special table, your doctor slowly changes the table’s angle while monitoring your heart rate and blood pressure.